How to make the alphabet Letter N in cursive form. 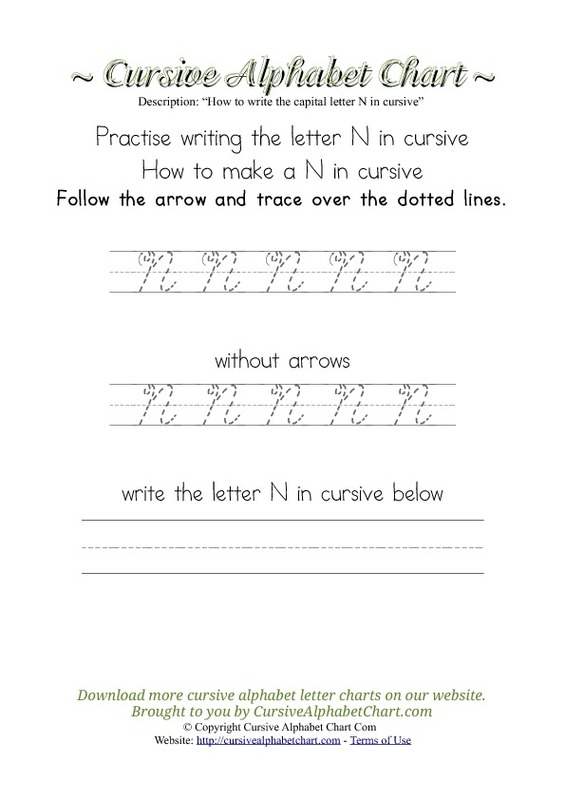 A printable guide with arrows and tracing guidelines in cursive for the Letter N.
This free pdf cursive chart is available in pdf format. A simple printable chart with the Alphabet Letter N in cursive. Use this free printable worksheet and learn how to write the Letter N in cursive through line arrow diagrams. Furthermore you can practise writing the Letter N on this worksheet below. How to make the alphabet Letter Z in cursive form. A printable guide with arrows and tracing guidelines in cursive for the Letter Z. How to make the alphabet Letter Y in cursive form. A printable guide with arrows and tracing guidelines in cursive for the Letter Y. Copyright © CursiveAlphabetChart.com | All Rights Reserved.